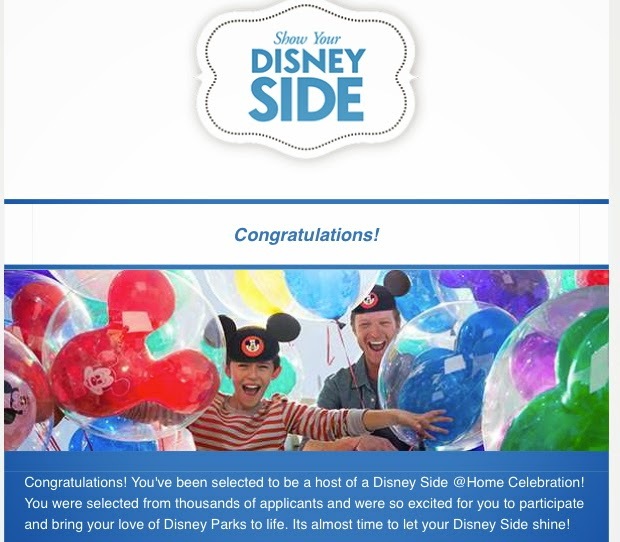 When I received the email notification that we had been selected to host a #DisneySide @Home Celebration, I never in my wildest dreams would’ve thought my Disney Side party would’ve transpired into a gender reveal party for my very first niece or nephew. It was a party that will never be forgotten and a party that celebrated a VERY long awaited addition to our family…..but I’m getting ahead of myself. Let me start at the beginning. I opened the “You Have Been Selected” email on January 6th and immediately the wheels of party planning were set into motion. 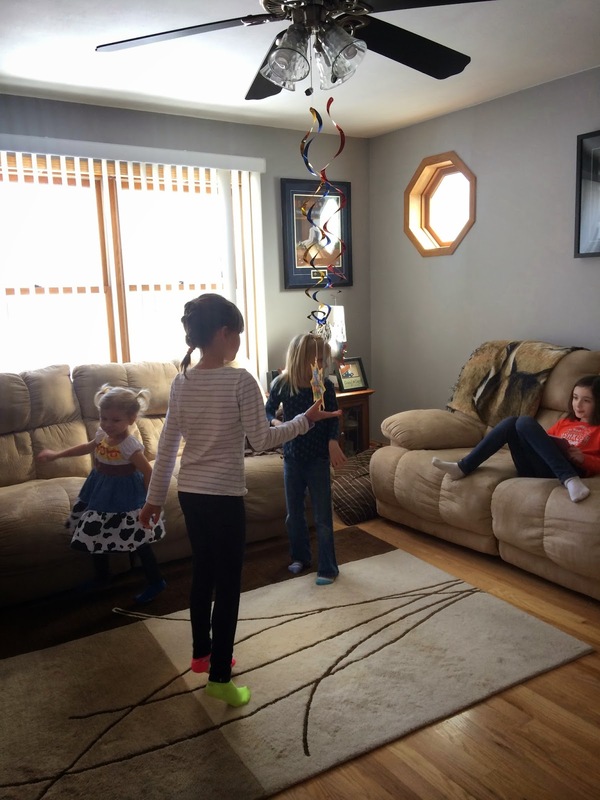 After talking about party possibilities with the kids, in just a few days we had our party theme narrowed down to two options-Mardi Gras or Super Bowl. Since we really had no idea what the party kit would contain, only that it would include supplies to host a multi-generational party, we figured we would make our final decision based on A. what would arrive in the Disney Side box and B. the Green Bay Packers beating the Seattle Seahawks in the NFC championship game and advancing to the Super Bowl–because to be honest, if our beloved Packers were not in the Super Bowl, we would be too emotionally wounded and bitter to host a Super Bowl party. 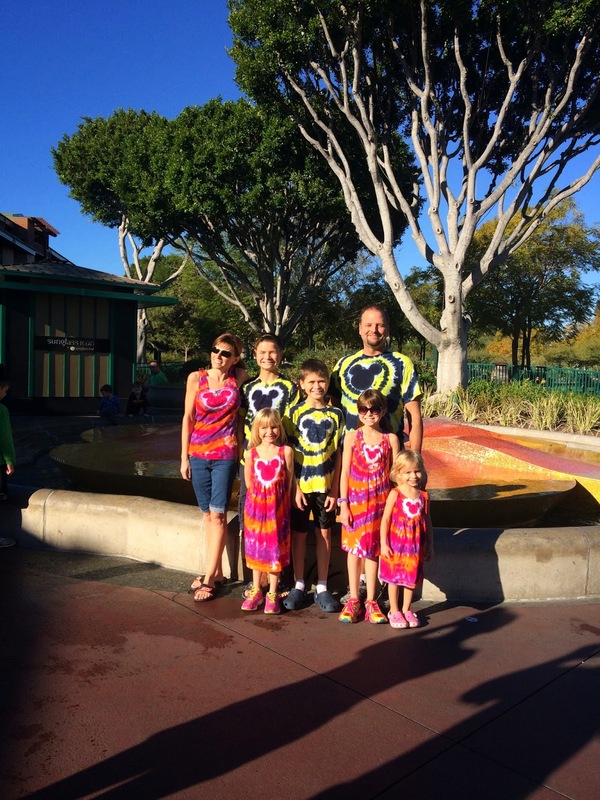 When we headed off to the airport on January 14th for our trip to Disneyland for Star Wars Half Marathon Weekend, we had a few plans in mind–we just needed to wait for our box of magic to arrive once we returned. Of course you cannot tell from the photo but in that exact moment, my sister announced that she is expecting. Once the shock finally wore off–I was totally not expecting THAT news–the wheels of party planning began to turn in a different direction. After much begging and pleading with my anti-Disney brother-in-law (gasp! I know, right?) to get his approval (after all it is his baby too), I decided to use our multi-generational Disney Side party kit to host a gender reveal party for my sister and brother-in-law. It just so happened that my sister was scheduled to have her “big” ultrasound on February 19th, so it was definitely possible to host the party before the end of February. Since my sister lives 200 miles away, planning a Disney Side party from such a distance presented its own set of challenges. But through the magic of Pinterest, Facebook, and photo texts, my sister and I were able to plan, what I think, was a most magical celebration of her baby. 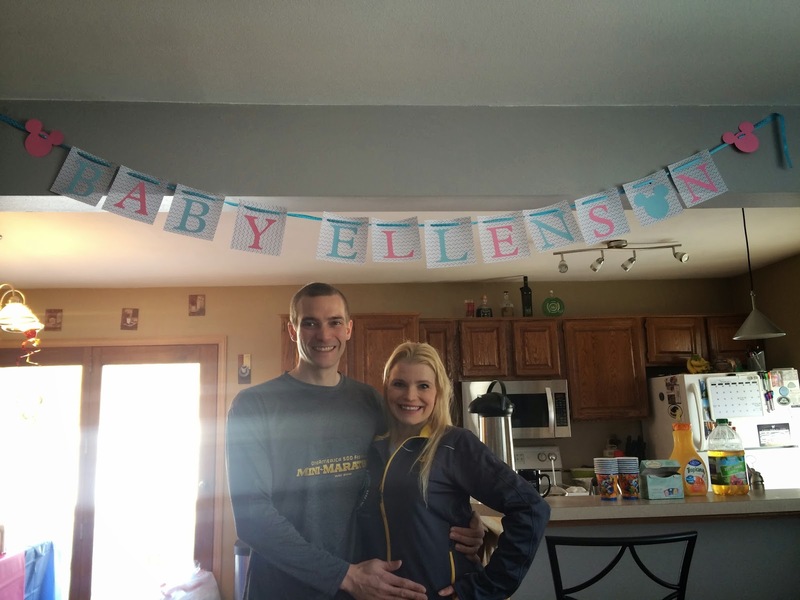 For those of you who may not know a gender reveal party is, it is evidently the latest and greatest way to announce your baby’s gender to your closest family and friends. It is not like a shower where guests bring gifts for the baby and parents-to-be but rather a more casual and intimate gathering where mom and dad can share the news about their bundle of joy. Sometimes, the baby’s gender is kept a secret from even the expecting parents and the ultrasound tech will write the baby’s gender on a piece of paper and then seal it in an envelope. The envelope can then be given to a bakery (so they can create a gender reveal cake) or a trusted family member or friend who would then create something to reveal the baby’s gender during the party. I lobbied for this honor but my sister wasn’t taking the bait no matter how much I tried to convince her that by letting me, and only me, know the news first, I could make discovering her baby’s gender extra magical. Nope! She wanted no part of that. As a matter of fact she made ME wait three days after her ultrasound before she would tell me the news. It wasn’t until she handed me the colored frosting in which to fill the center of our party cupcakes that I found out whether I should be shopping for pink or blue. Our Disney Side @ Home Celebration kit arrived just a few days after we returned from our Disneyland race-cation. Again, I was truly amazed at the generosity of the program sponsors and it really shocks me how much can fit inside the box! 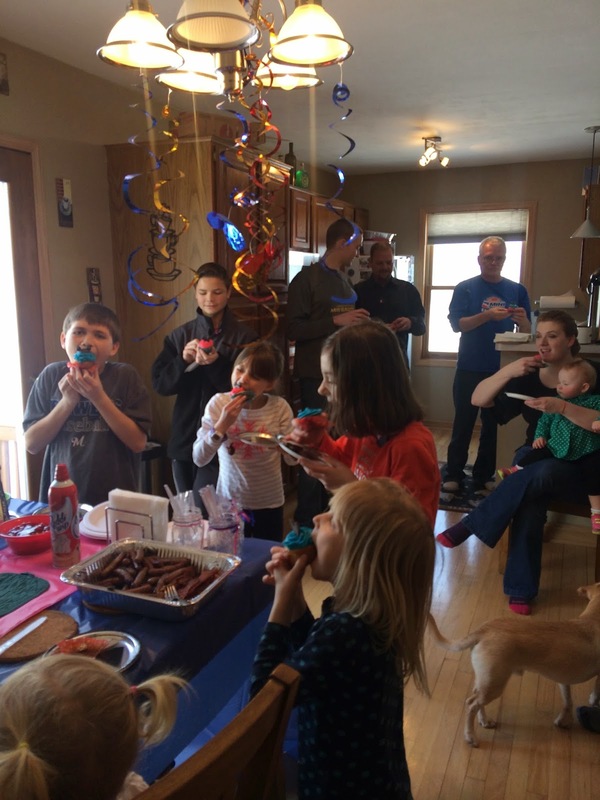 Since our party kit was designed for a multi-generational party, it included a variety of goodies that covered almost every age group. 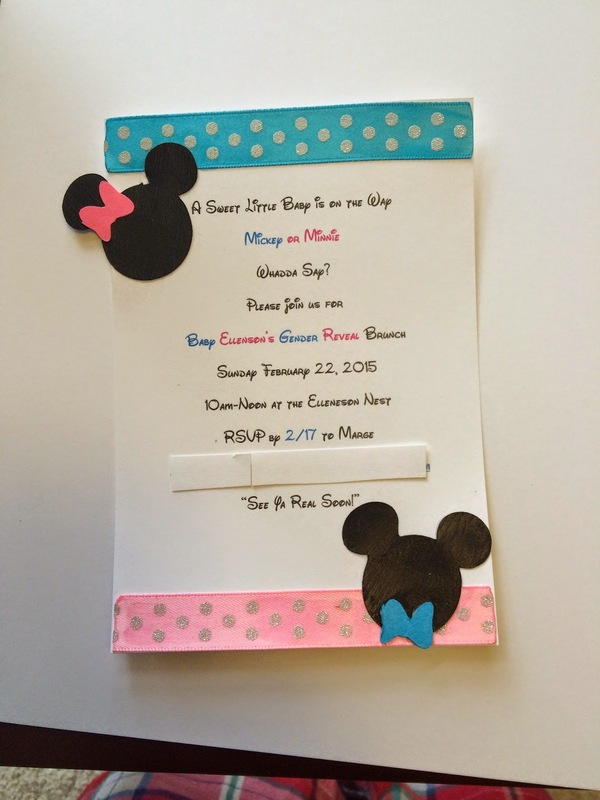 Although the party kit did include Disney Side party invites, I chose to make my own. I thought a party in honor of my new niece or nephew called for handmade invites. 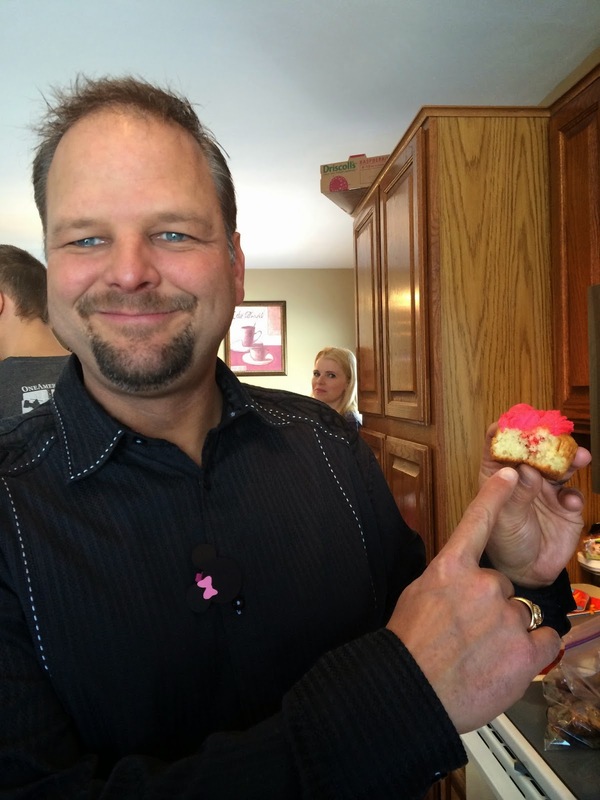 Our party preparations began the night before with the creation of the party’s “piece de resistance”—cupcakes. We decided to announce the baby’s gender via these sweet treats and would serve them at the end of the party. So, after the cupcakes were baked, we hollowed out the centers and filled them with the colored frosting (so pink for girl or blue for boy). 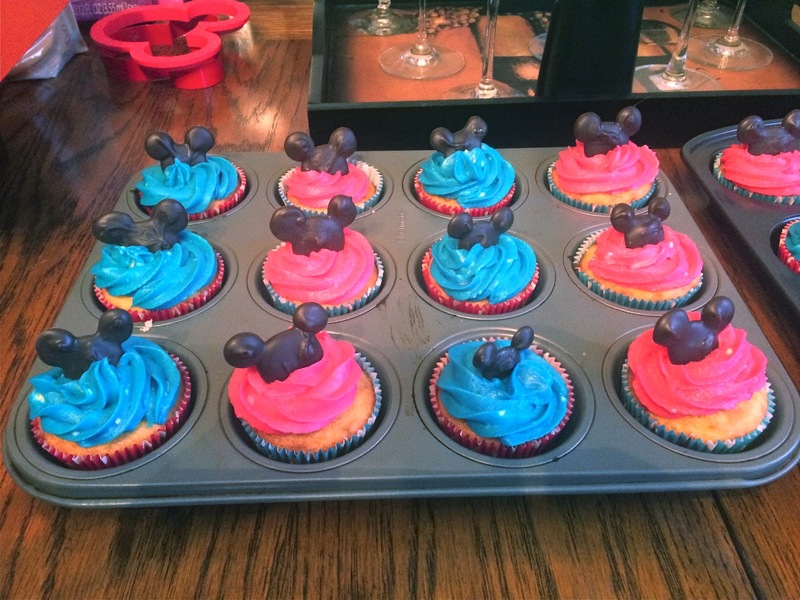 We then swirled the cupcakes with alternating pink and blue frosting at the top and topped them off with a homemade chocolate Mickey–I was pretty proud of those since I made them free handed with just some melted chocolate and a spoon. 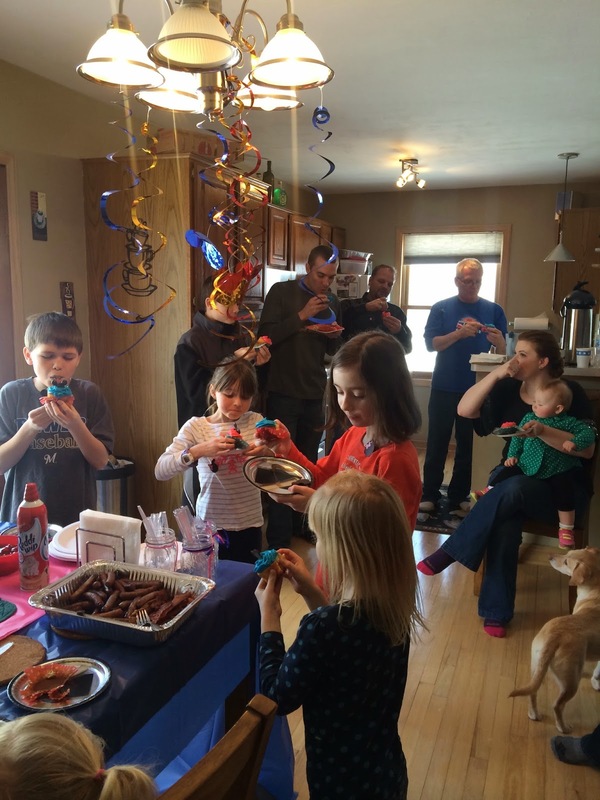 The gender reveal party began at 10am. We decided to do a brunch party so that we could have the party early in the day since I had to get back home in time for my son’s basketball AND so I would have an excuse to have my husband make those Mickey waffles I love so much. In addition to our “build your own Mickey waffle” station we also served scrambled eggs, southwest egg casserole, cheesy hash browns, bacon, sausage, and fresh fruit skewers (because everything tastes better on a stick). I also made Mickey shaped Rice Krispie treats that were dipped in chocolate and then sprinkled with pink and blue sprinkles. It was quite a feast—a big thanks to my Mom and Poppy for cooking most of the party food! Guests mingled around while we waited for everyone to arrive. In addition to coffee and juice, we served Twinings Tea. That was a huge hit! My sister LOVES Twinings Tea and was so excited to see that most of the teas that were included in the package were caffeine-free. I’m not a tea drinker so I cannot speak from personal experience but those who are tea drinkers said Twinings Tea was delicious. 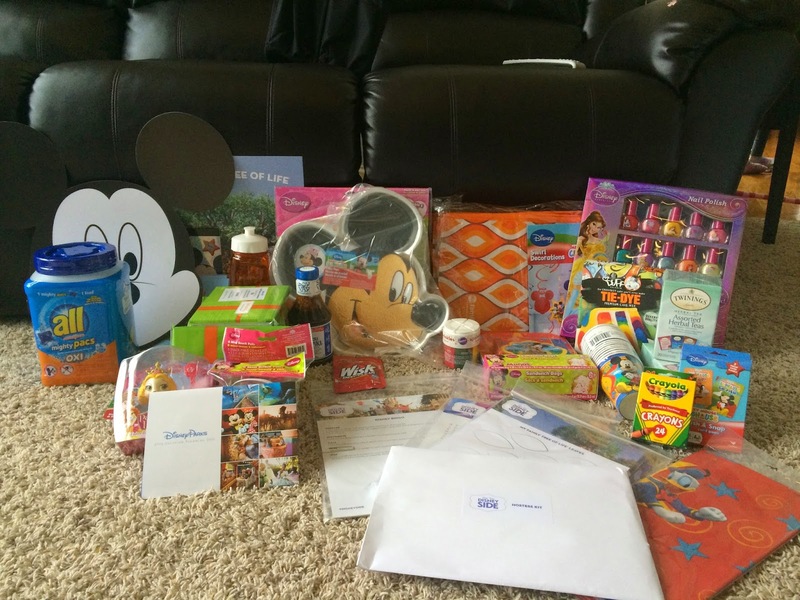 I’m glad two boxes were included in our Disney Side party kit! Once all of the guests had arrived it was time to eat. That is always the best part of any party and everyone enjoyed spending this time feast on good food and enjoying friendly banter over who’s baby gender guess was going to be correct. 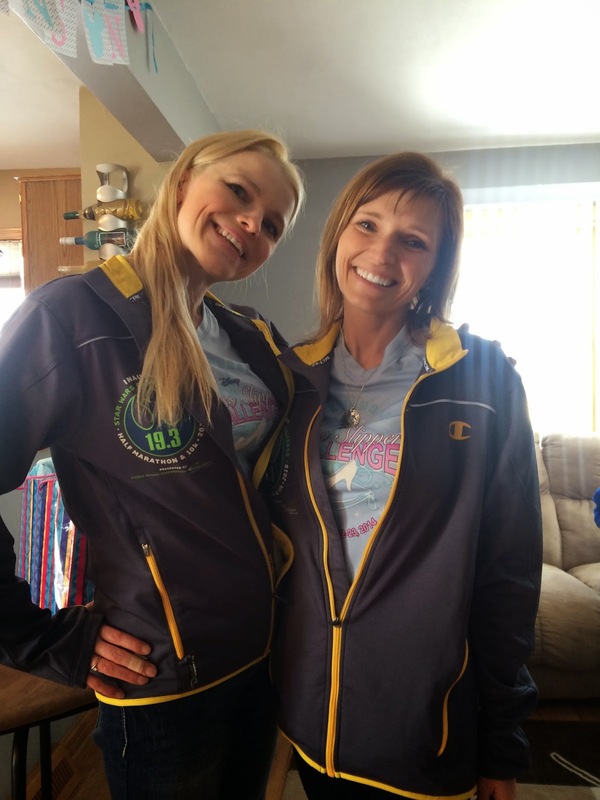 It was really very funny because since my sister has had absolutely no pregnancy symptoms and is not showing even the tiniest hint of a baby bump which made all of our guesses based on…well…nothing! That’s what, I think, made it so fun. Once everyone had eaten their fill and brunch plates had been cleared it was time for cupcakes and the big reveal. My sister and I passed out cupcakes to every guest with the strict instructions that while everyone may CAREFULLY take the wrapper off the cupcakes, no one was to take a bite or break into the center of the cake until we gave the go ahead. 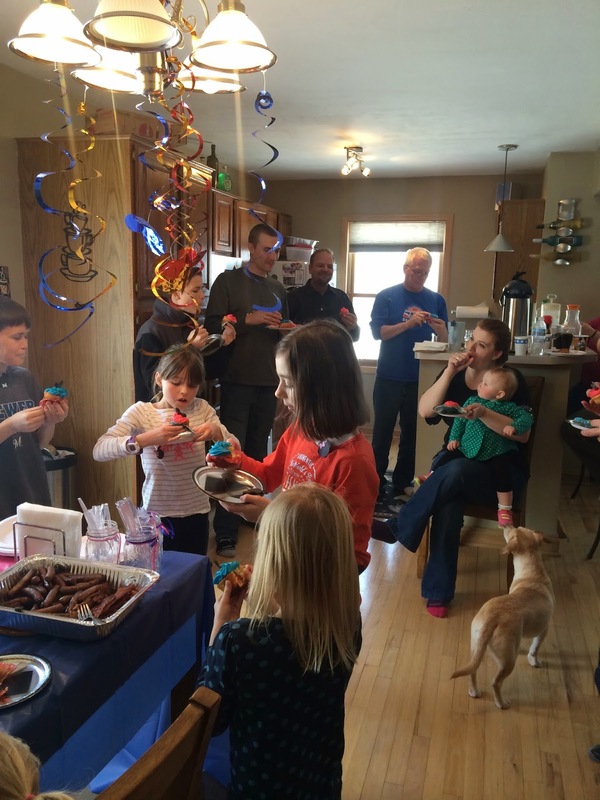 Once everyone had a cupcake in hand, my sister began the countdown. You could feel the anticipation growing exponentially as she counted 3…..2……1…EAT! It’s a girl!! That’s my husband in the last picture. He was gloating because he was right! Even though my guess was boy, I am thrilled…I would’ve been happy either way. I’m just excited to finally be an auntie. The party was a huge success and all guests went home with reusable bags filled with goodies from the Disney Side party box…but not before we played a few rounds of freeze dance. A party is just never a party without it. 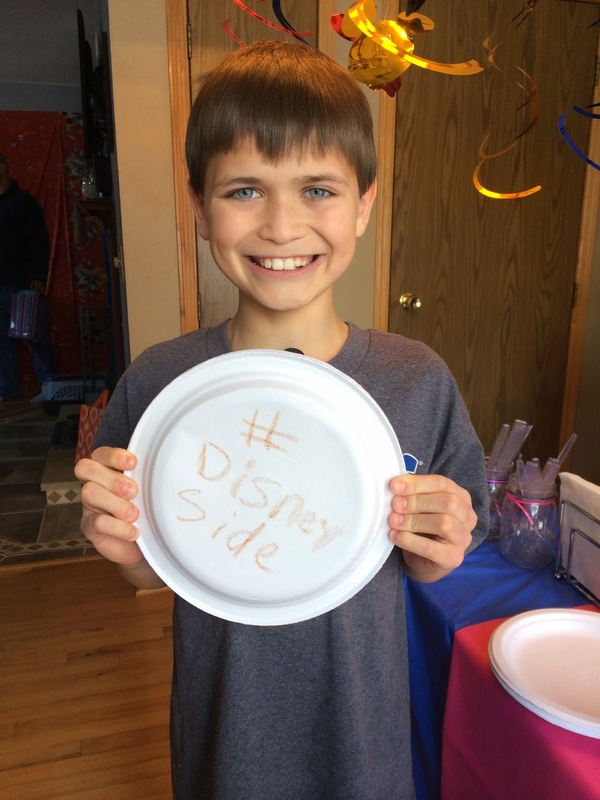 A huge thank you to the Disney Parks team, especially Leanne Jakubowski-O’Regan and Jamie Langdon, Maria Bailey and the BSM Media team and all of the sponsors who provided goodies to help make our Disney Side gender reveal party a success. And a big thank you, too, to my brother-in-law, Josh. I know Disney isn’t your thing and I appreciate you indulging me! I had a great time sharing my love for Disney with family and friends and I most certainly cannot wait to share the magic of Disney with my very first niece this summer.